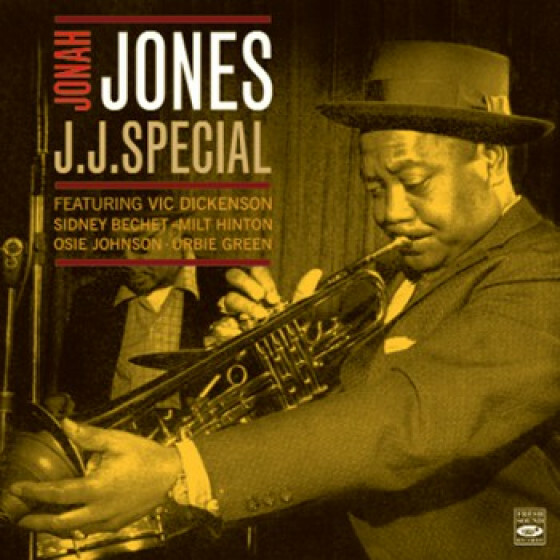 On Muted Jazz, Jones distinctive muted trumpet swings tastefully in Armstrong derived style, and also sings pleasantly, good jazz standards. 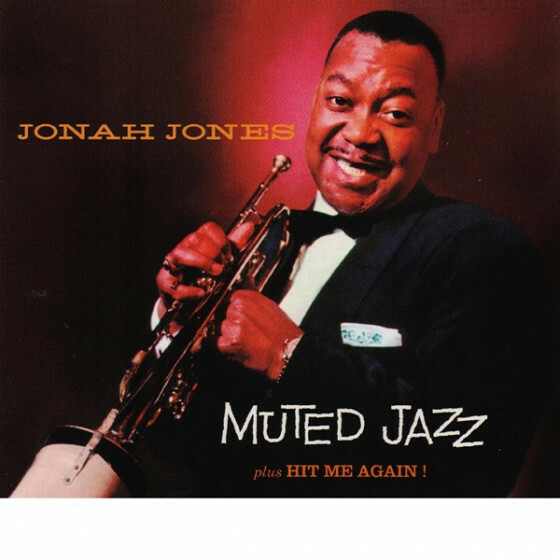 Jones had long forsaken the pure jazz route for a more readily communicative form of music. Hit Me Again! is an excellent example of what he was aiming for in 1959 and 1960, which makes it a very listenable and danceable album. 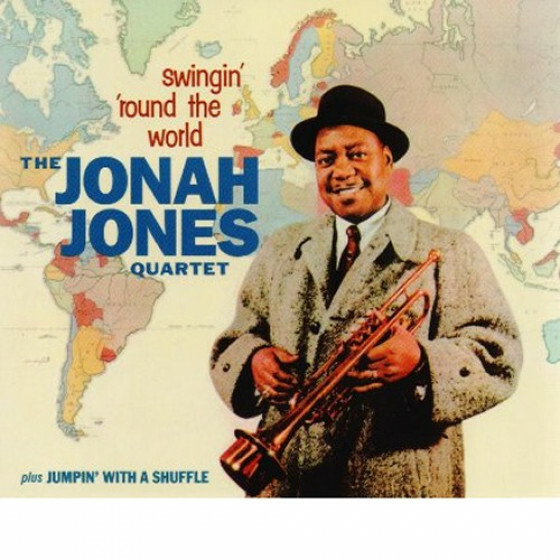 In 1961... Jonah Jones was still Americas No.1 Jazz Salesman! 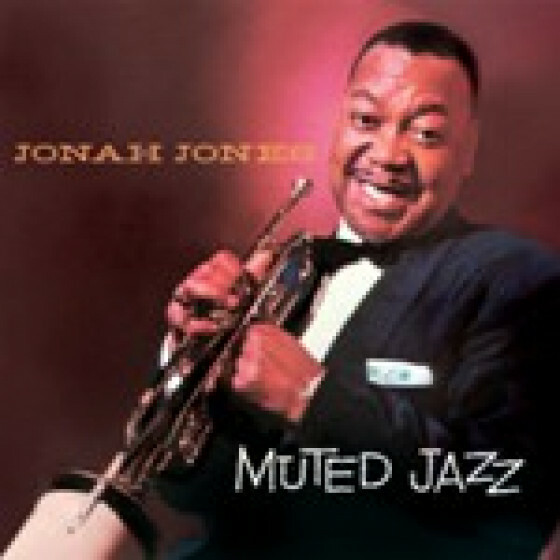 Jonah Jones, trumpet & vocals #2,6,9,11 & 18; George Rhodes, piano #1-10,14,16 & 20; Teddy Brannon, piano #11-13,17-19 & 22; Hank Jones, piano #15 & 21; John Brown, bass; Harold Austin, drums #1-10,14-16,20 & 21; George 'Pops' Foster, drums #11-13,17-19 & 22. 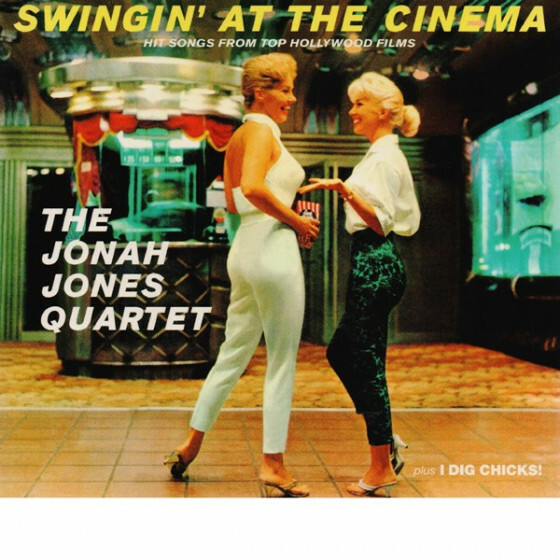 "If this CD was a recording deliberately produced to appeal to a soft core jazz audience, then it succeeds very well: faithful melodies, controlled playing and little to aggravate the sensibilities of the mass record buying public if you like that sort of thing. For hard-core musos and jazzers looking for some original licks, excitement and an aural 'fix', then I doubt theyll find it here: the phrasing is very predictable and rigid throughout and the hairs on the back of my neck stayed firmly down. Im also going to call Jonah out for over use of effects like the 'rip' and 'glissando' which eventually had me breaking out in hives until hed settled on a note. The occasional musical doffing of the hat in the direction of Louis Armstrong made me smile; he obviously loved Louis playing and hearing some of Louis phrases coming through shows due respect in my book. 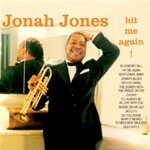 The second half of the CD is less square and we get to hear Jonah playing with a bit more freedom. Im pretty sure from Jonahs clear tone, mastery of effects, and seemingly iron lip, that he was capable of much more than we get to hear on this recording." 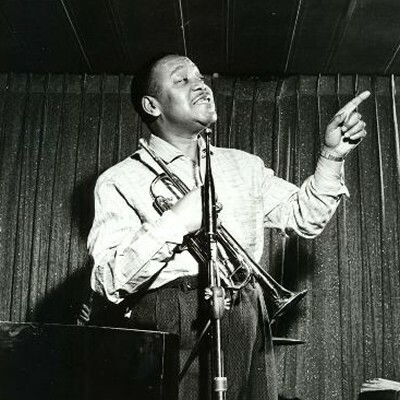 (*) Alan Bateman attracted national notice with the Terry Lightfoot Band, but is now best known for coping with the demands of playing trumpet in a Louis Armstrong Armstrong tribute band the Bateman Brothers Jazz Band. 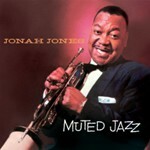 "In 1957, trumpeter Jonah Jones hit it big with his version of "On the Street Where You Live," twhich is included on this LP. 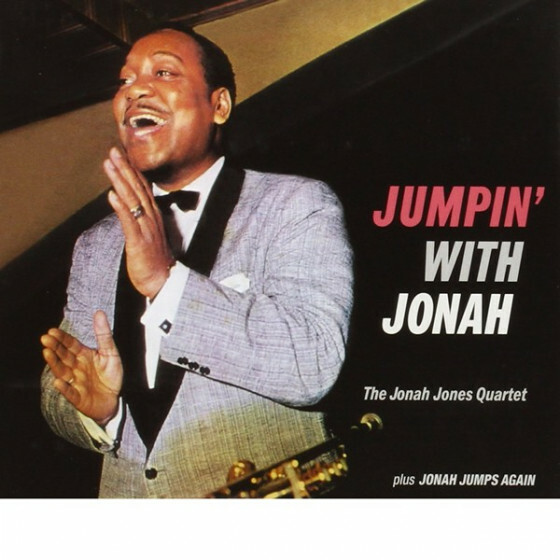 Jones' "muted jazz" featured melodic but swinging versions of standards played with a shuffle beat by his quartet nightly at the Embers, and he would keep the attractive -- if eventually predictable -- formula alive into the late 1960s. In addition to "On the Street Where You Live," this best-selling record has such numbers as "Rose Room," "Undecided," "Too Close for Comfort" and "Royal Garden Blues" played in delightful fashion." 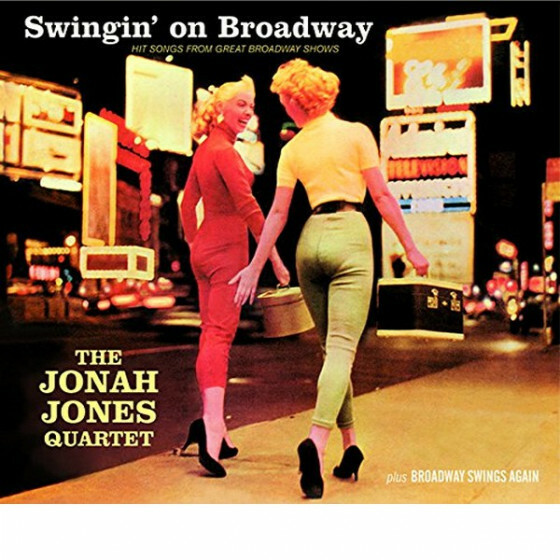 "Trumpeter Jonah Jones and his regular quartet of the period (which includes pianist Teddy Brannon, bassist John Brown and drummer George Foster) performs their usual mixture of swing standards, jump originals and current pop tunes in likable fashion. This LP has two Jones vocals ("Blueberry Hill" and "I'll Always Be in Love With You") and enjoyable, if lightweight, versions of "Moten Swing," "The Surrey with the Fringe on Top" and "Do You Know What It Means to Miss New Orleans." It can probably be found at a budget price."